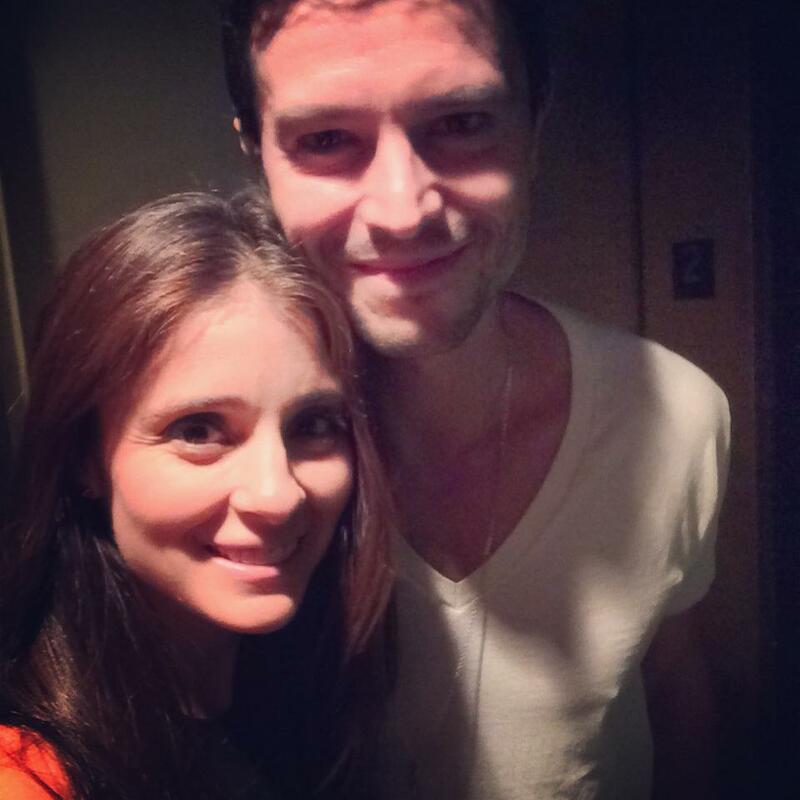 Shiri Appleby shared this picture with her Facebook fans. 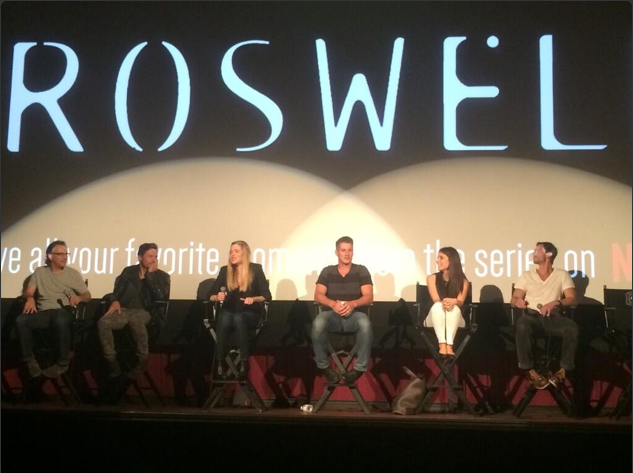 Roswell fans rejoiced over the weekend at the ATX Festival, after 15 years (yes it’s been that long!) the cast and executive producer reunited to talk about the hit sci-fi series. Jason Katims, EP, was joined by Jason Behr, who played Max Evans, Shiri Appleby, played Liz Parker, Majandra Delfino, played Maria Deluca, Brendan Fehr, played Michael Guerin, and Nick Wechsler, who played Kyle Valenti. The Alamo theater in Texas was buzzing with excited fans, even Nicole “Snookie” Polizzi flew in from New York to be at the panel. She even asked the cast if they believed in aliens, Appleby and Delfino said they were believers. Behr must have brushed up on the series before coming to the panel because he surprised fans by naming his favorite episodes by name. Whether that’s true or not fans don’t care, we all still love our beloved ‘Max Evans,’ who is still gorgeous as ever. Two noticeably cast members that were missing at the panel were Katherine Heigl, who played Isabel Evans, and Colin Hanks, who played Alex Whitman. They reached out to fans on Twitter briefly explaining their absence. Roswell was definitely my favorite series growing up. I never missed and episode, not even the wacky third season. And yes I even had a Tiger Beat poster of Jason Behr behind the plastic cover of my folder. The good old days. If you couldn’t attend the panel here is a clip of Sunday’s event. Who was your favorite character? Let us know in the comments below. Previous Article'The Book of Life' Giveaway: Enter to win Diana’s Commonplace Book & Buttons!